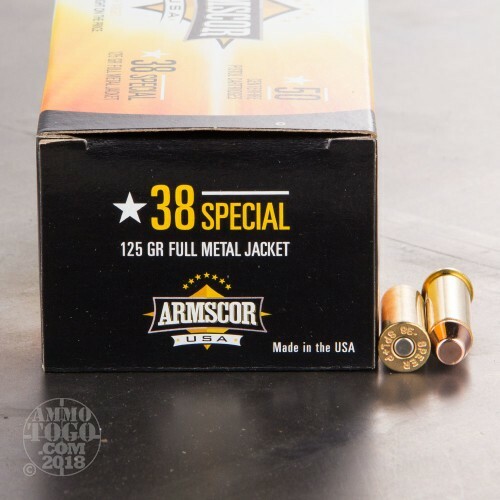 This is 38 Special ARMSCOR USA Precision 125gr. FMJ Ammo. This ammo is reloaded by ARMSCOR USA Precision Ammunition in Pahrump, Nevada, which is a subsidiary of Arms Corporation of the Philippines. 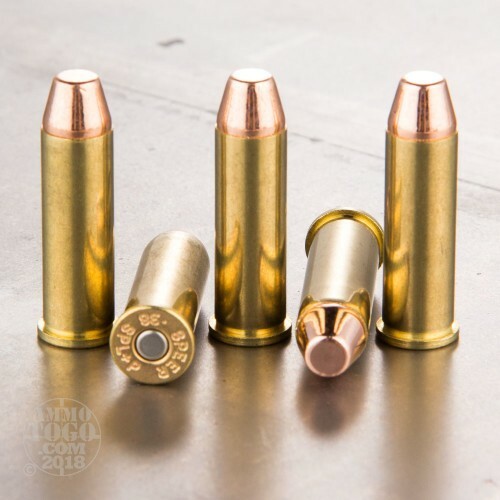 This ammo is loaded using once fired brass and new ARMSCOR bullets, powder and primers. ARMSCOR Precision is based out ot the Philippines and have produced quality weapons and ammunition for many years. 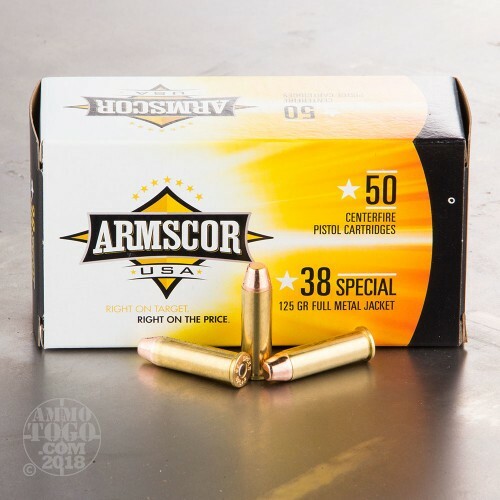 ARMSCOR Small Arms Ammunition line is one of the largest and most comprehensive lines of ammunition available in Southeast Asia today. The Company offers a wide selection of competitively priced ammunition and components with sales spread throughout the world. ARMSCOR, an ISO 9001 Certified Company, complies with the SAAMI, CIP and other military or customer desired standards or requirements. 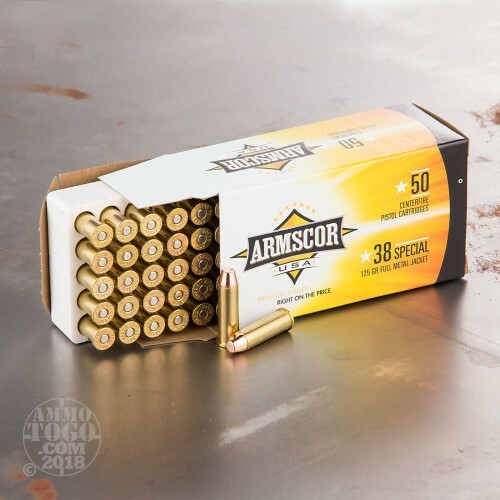 ARMSCOR cartridges and components are widely used by the police, military, gun hobbyist, combat shooters and other shooting enthusiast due to its high quality, precise and dependable performance. These are quality reloads for blasting at the range. This ammo is packed in 50rd. boxes, 1000rds. per case.